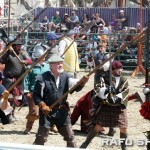 Ten minutes east of Pasadena lies a land of imagination where jousting knights, regal ladies, saucy wenches and the court of a comely queen mix with today’s hipsters, history buffs, fantasy lovers and families. 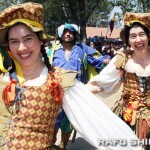 The Original Renaissance Pleasure Faire began its 50th season last Saturday at the Santa Fe Dam Recreation Area in Irwindale. 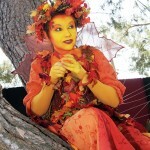 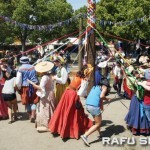 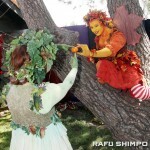 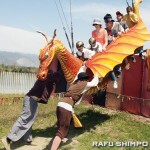 The faire continues each weekend through May 20. 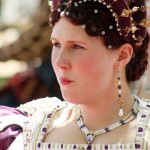 Set in the recreated royal shipyard city of Port Depfort during the reign of Elizabeth I, fairgoers—many of whom are dressed in period costumes—are immersed into the music, language, merchants and entertainment of the era. 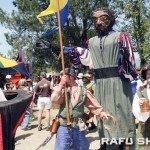 Hundreds of performers rove the 20-acre lakeside shire, including Her Majesty herself, pirate Sir Francis Drake, playwright William Shakespeare as well as a bevy of knights, ladies, witches and peasants. 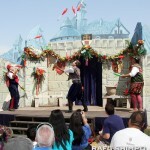 There are 14 stages of entertainment featuring more than 40 performance groups such as knife throwers, jousters, witty shows, storytellers, jugglers and improvisation troupes. 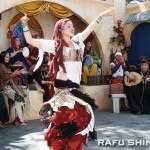 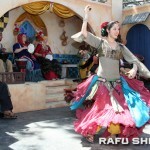 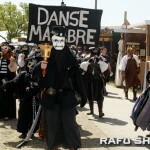 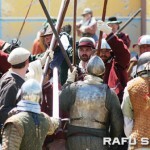 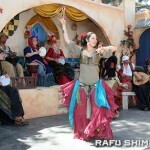 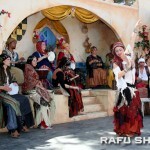 For tickets and detailed information, visit www.renfair.com.